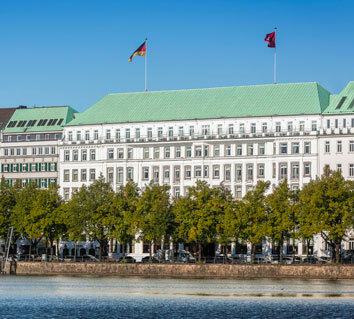 Standing on the banks of the Binnenalster lake, the imposing white-stone facade of the 5 star Vier Jahreszeiten has been welcoming visitors for one hundred years. 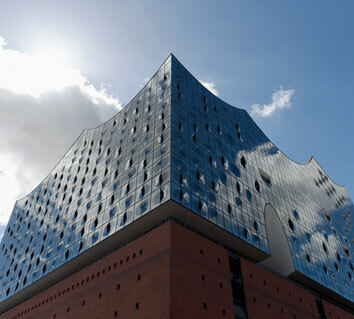 On request, we can also offer you a higher category of room or accommodation in other establishments : the Royal Meridien *****, the Sofitel Hamburg Alter Wall ***** and the Side *****. Transfers, car rental, entry tickets for museums and exhibitions, as well as other shows can be reserved as a supplement. A private guided discovery tour of the city can also be added.